Looking for a festive cocktail to serve this Fourth of July weekend? Look no further. Here's an easy red, white, and blue cocktail that only requires four ingredients. 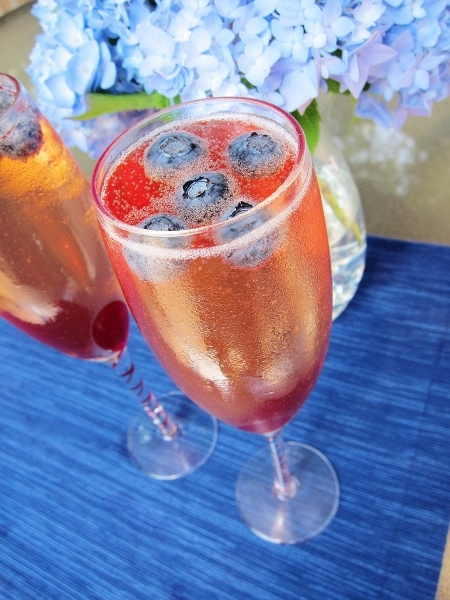 Bubbly champagne combines with sweet Grand Marnier and pomegranate juice for a light, fruity, and fun cocktail. It's guaranteed to make you feel a little more patriotic while sipping it! Directions: Pour champagne into a glass. Add Grand Marnier and pomegranate juice. Garnish with fresh blueberries.